About twenty years or so later, and more changes. Warren Road, the main entrance to Woodingdean from Brighton, had been considerably widened when this photograph was taken in 1966. 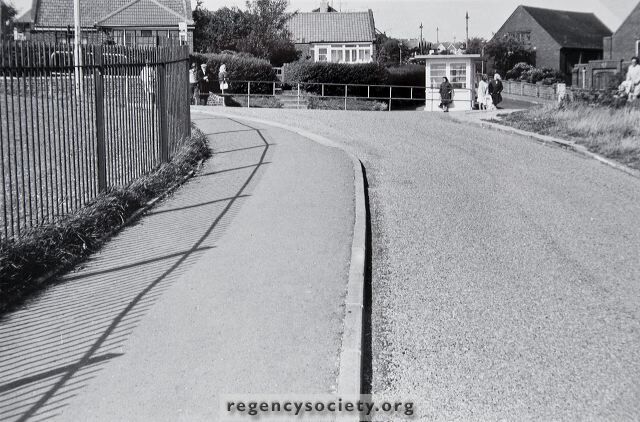 A bus shelter and guard rails had been erected and the bungalow brought much nearer to the now busy main road. It still stands (1985) and is the present No.6 Warren Road.